The life of trail runner or hiker is certainly an unpredictable one. Every time we set foot out on the trail, we are guaranteed to see something new. Wouldn’t it be nice to have a memento of one of your favourite trails that you have travelled to remember it by? Well we unearthed a fantastic new product from the people at NiceTrails that allows us to do just that! They have come up with a genius way to combine the latest in 3D printing technology and your GPS wearable data to provide their customers with a trophy of their favourite trail. We loved the concept, so we had to get one for ourselves! To create our own NiceTrails trophy, all we had to do was upload our .GPX file on their website. 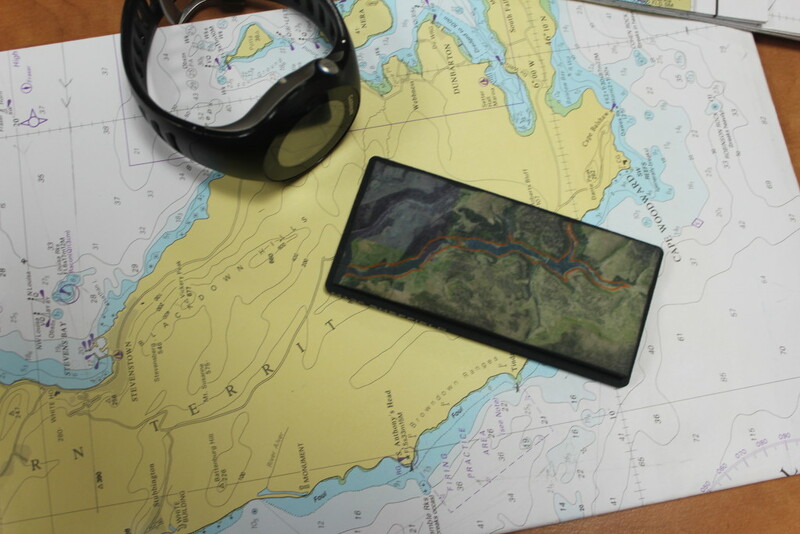 This gave us an instantly viewable 3D visualisation of what our trail would look like in its final form. 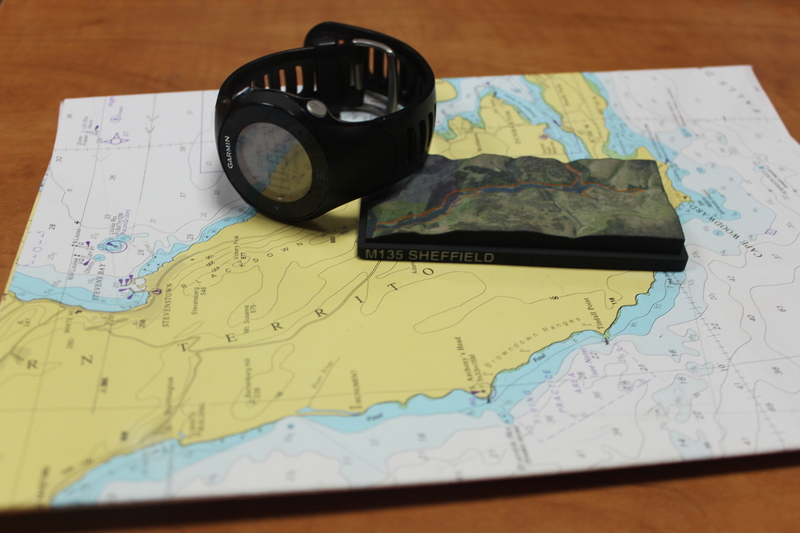 Personally, I am a Garmin user and had no problem uploading the file and it was quick and easy to complete. Once we got a visualisation of what it would look like, we were ready to go. They have three different sizing options available; a 50mm, 100mm or 200mm model. We decided to go for the 100mm as I thought it would be a nice addition to my desk! The order took just under two weeks to arrive and was very well packed. According to their website, the trophy “Is made of Sandstone (gypsum-based powder bound together with an adhesive and simultaneously embedded with an ink jet head)”. It gives the product a very authentic feel and is a solid piece of kit, it certainly won’t be breaking anytime soon! As you can see from the photo, we have a nicely mapped out route of the trail that we travelled. Our trophy has now found a permanent home on my desk besides my laptop as a constant reminder to the first ever trail run marathon that I completed! Having seen the product, we wanted to give our readers the chance to win one of their own. 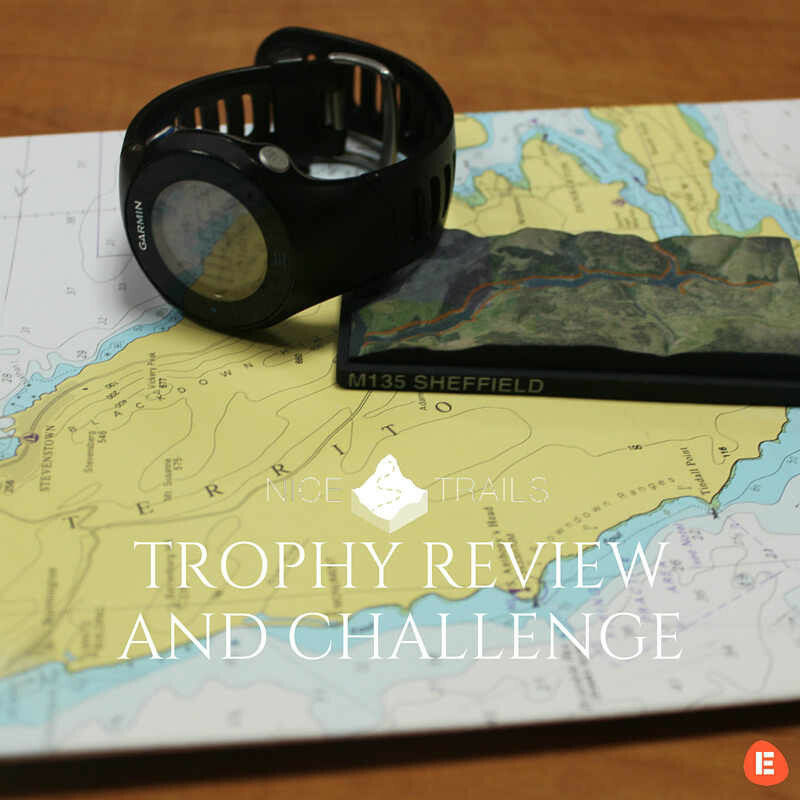 NiceTrails were kind enough to give the winner of their Virtual Challenge their own free trophy of their favourite trail. To join the challenge all you have to do is visit their EtchRock challenge here and follow the simple instructions to take part! Click on the image to join the challenge! All you have to do to enter is take a selfie whilst out on a trail run/walk and upload it to the challenge page. If you want a preview of what your trail would look like in trophy form, you can submit your .GPX file here. NiceTrails will select their favourite photo and contact the winner to receive their free NiceTrails trophy!